The T20I series gets underway on October 7 at Ranchi. The Australian team arrived in India to face the heat not just from the opposition but also from the weather. Owing to the consuming humid conditions in the subcontinent, their pace spearhead Pat Cummins decided to skip the Twenty20 International series that will follow the ODIs and will instead fly back home, rest and prepare for the Ashes. Cricket Australia is more than willing to preserve him for the bigger clash. 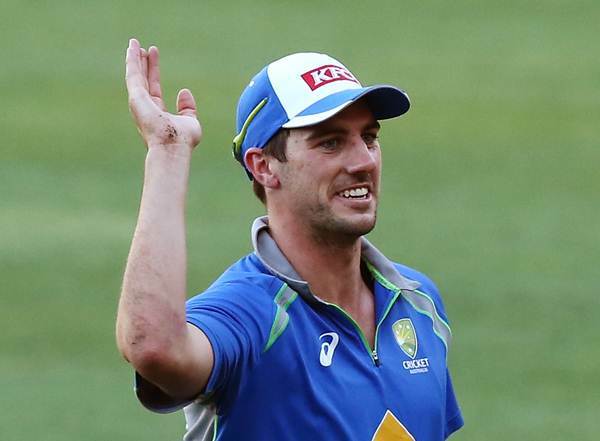 Cricket Australia is more than willing to preserve him for the bigger clash. To fill in for him in the three T20Is the Australian selectors today named Andrew Tye as a replacement for Cummins and the Perth Scorchers pacer will fly into India for the series that gets underway on October 7. Tye, was at the best of his form in the Indian Premier League where he was the spearhead of the Gujarat Lions bowling attack; he dislocated his shoulder during the tournament in April and has been out of action since. He underwent a surgery and has recovered enough to be fit for the gruelling Indian tour. The right-arm pacer could only feature in just six matches for Gujarat and ended up with 12 wickets and had best figures of 5/17 against Rising Pune Supergiant which included a hat-trick. Though he played less than half the number of games out of the 14 his team eventually played the 30-year-old was the leading wicket-taker for the Suresh Raina led franchise. The Aussies have lost the first three ODIs of the series and will be looking to overturn fortunes having not won an ODI in the last eight outings. Their record in the shortest format isn’t great either and they will enter the series with a losing streak of six matches against the hosts India. Steve Smith (C), David Warner, Jason Behrendorff, Dan Christian, Nathan Coulter-Nile, Aaron Finch, Travis Head, Moises Henriques, Glenn Maxwell, Tim Paine (wk), Kane Richardson, Adam Zampa.